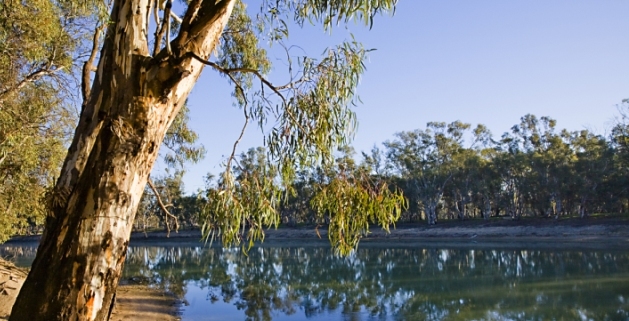 Our Region Our Rivers – a $34 million suite of projects across seven Council areas – has progressed to Stage 2 of the Federal Government’s coveted Regional Growth Fund. Swan Hill Rural City Council has led the charge for this funding, which will deliver riverfront projects in the Swan Hill, Gannawarra, Buloke, Loddon, Murray River, Edward River and Balranald council areas. The councils have committed a combined $16.8 million to the projects and is seeking matched funding from the Federal Government. Swan Hill Rural City Council Mayor Les McPhee said only 16 projects had been chosen to go to the next stage of the application process, from the 300 that were submitted Australia-wide. “We are especially proud to have led the group of seven councils across two states to this stage. These seven council regions face some challenging times with drought, shifting population bases and ongoing changes in government water policy,” Cr McPhee said. “Seeking this Federal investment and hopefully delivering these projects is our councils’ way of taking back some control and transforming our regions,” he said. In the Swan Hill municipality, projects valued at $20 million are included in the Our Region Our Rivers suite of projects. They include a new Swan Hill Regional Art Gallery, other Swan Hill riverfront projects, the Bromley Road development in Robinvale, a Robinvale walking trail and smaller projects in our municipality’s other riverfront towns. The councils will now work together to produce and submit a full business case to the Federal Government by the end of January 2019.